fixtures designed and built by United. 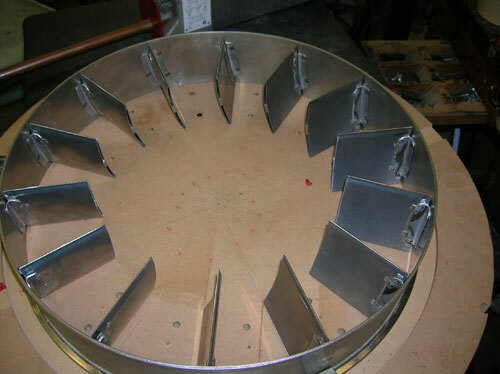 Since 1946 United Industries, Inc. has been providing low cost development tooling for applications in hydro forming, metal spinning and metal drawing, especially where intricate or unsymmetrical shapes are involved. United has a complete Kirksite Casting facility. 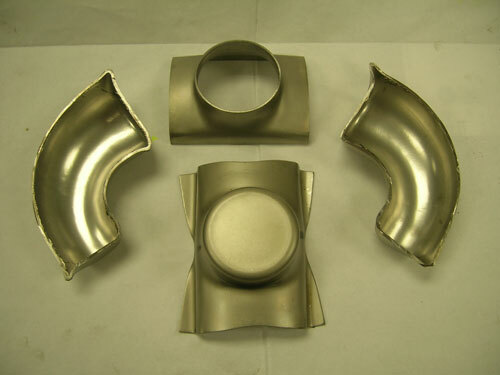 We combine precision pattern-making skills with Cast Kirksite Tooling: The result is accurate tooling at a low cost (capabilities from 10 pounds to 500 pounds). Fast turnaround is routine, we can often supply Kirksite Tooling to customers in less than half the time required for permanent production tools. In development work where changes and modifications are a normal part of the process, United is especially well equipped and staffed. Our people are experienced at working with designers during the inevitable modification cycles of new tooling. This means a smoother move into new tools and faster cycle time to final parts. Give us the opportunity to quote from your CAD files, prints or sketches. We'd be happy to discuss with you any of your metal forming development tooling needs and to explore how we can be of service to you! 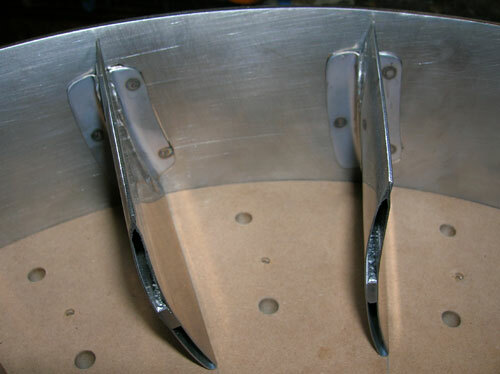 Sheet metal vanes formed, brazed and assembled by United. 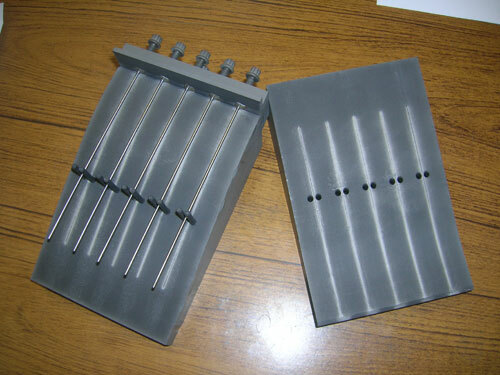 Collapsible hydro-form tool machined utilizing hydraulic trace method.